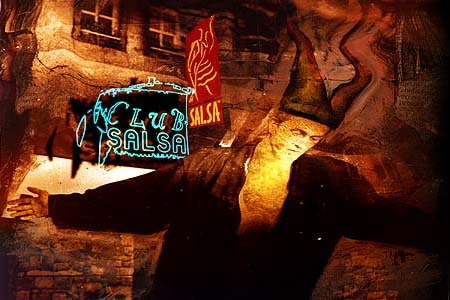 I, Sal, know Club SALSA deeply. To begin your adventure, please, take my seat at Center Stage, where you are privy to the scintillating stage show of SALSA software. From there you can delve into the eleventh episode of the Club SALSA drama, where the ominous black chilies await. Wherever you wander, you may click on my phantasmic head to behold the Club SALSA map that reveals the treasures within each room. Here are some tidbits about the architects of Club SALSA. © Copyright 1996 Wall Data Incorporated. All rights reserved. and the WALL DATA logo are registered trademarks of Wall Data Incorporated.